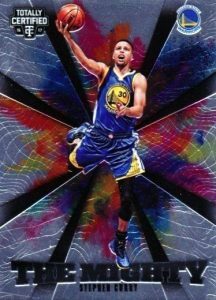 Never a brand for subtlety, 2016-17 Panini Totally Certified Basketball brings a formula of quality and boldness to the new NBA season. Each hobby box contains one autograph and two relics. Part of the primary base set, Rookies treats collectors to the key names of the 2016 draft with lots of additional color. This includes Red, Blue, Orange, Camo, Gold, Green and Holo Blue parallels, each numbered to 199 or less. 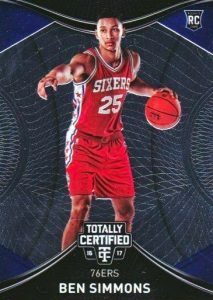 On top of that, 2016-17 Panini Totally Certified Basketball boasts multiple hits per box. 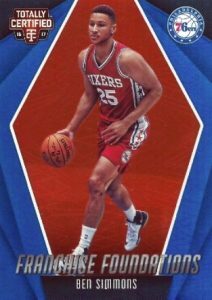 Among the signature choices are on-card Rookie Roll Call Autographs, along with Signed, Sealed and Delivered, which features 20 all-time basketball greats. The SSD set also has a Mirror parallel (#/25). Memorabilia cards give even more hit options with the well-known Fabric of the Game line for both veteran and rookie subjects. Totally Certified Materials is another relic insert. Each of these cards include Prime and Patch parallels. 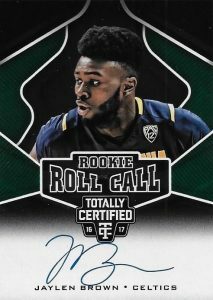 Closing out the product, the standard inserts in 2016-17 Panini Totally Certified Basketball are anything but basic with wild designs and liberal use of color. They include Energizers, Franchise Foundations, Return to Sender and, lastly, a very limited insert in The Mighty. 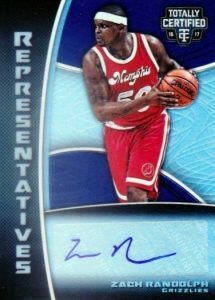 2016-17 PANINI TOTALLY CERTIFIED KAY FELDER RC 99 ON CARD AUTO CAVALIERS ! PARALLEL CARDS: Red #/199, Blue #/99, Orange #/60, Camo #/25, Gold #/10, Green #/5, Holo Blue 1/1. PARALLEL CARDS: Blue #/99, Camo #/25 or #/10, Gold #/10, Green #/5, Holo Blue 1/1. PARALLEL CARDS: Blue #/99, Camo #/25, Gold #/10, Green #/5, Holo Blue 1/1. PARALLEL CARDS: Mirror #/25 or #/10 (Card #22 - #/5). 49 cards. No card #46 listed. 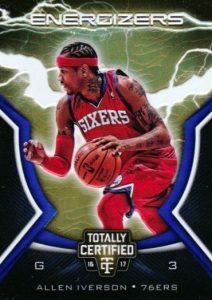 Shop for 2016-17 Panini Totally Certified Basketball hobby boxes and cases on eBay.